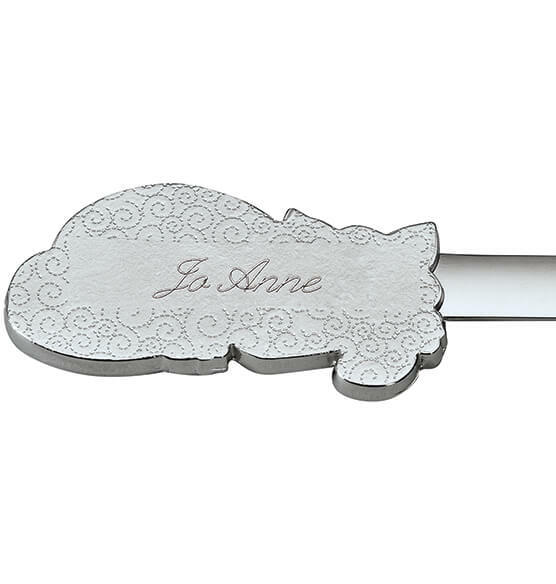 You’ll be smitten with personalized sleeping kitten letter opener—she’s elegant, purr-fectly practical, thoughtfully personalized and only found here! 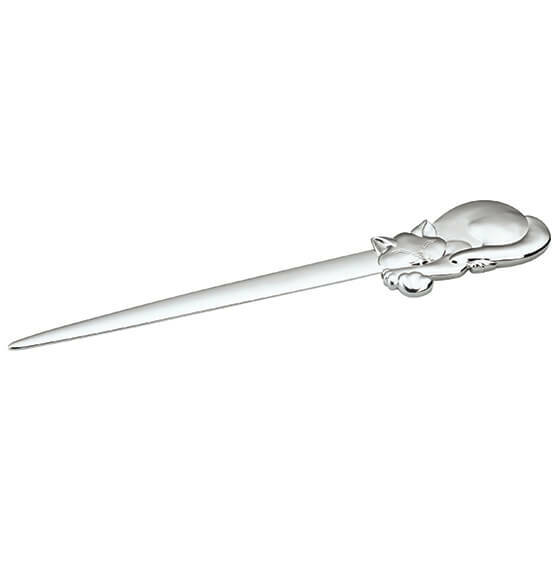 Our kitten letter opener shines in fine, heavyweight silverplate over brass, beautifully engraved for a custom gift you’ll be proud to give. Specify name; limit 1 line, 20 letters/spaces. 7 1/4" long.